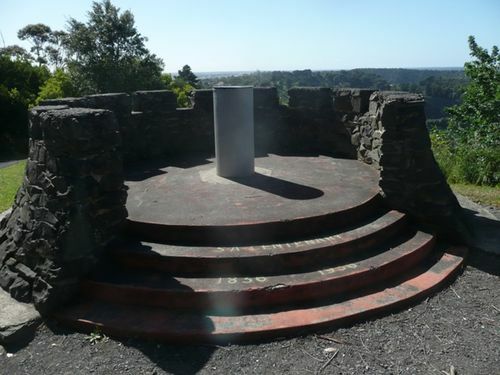 A lookout commemorates the centenary of the state of South Australia from 1836 to 1936. In 1936 South Australia celebrated a centenary of European settlement. Despite continuing economic recession, government and community groups organised a full program of parades, sporting events and conferences that spanned the entire year. The mood throughout was upbeat. Nothing was to be allowed to detract from the general message of steady expansion and advancement. The celebrations culminated in a huge ‘Pageant of Progress’ that made its stately way through the city on 22 December, stretching over two miles (3.2 kilometres) from start to finish. Nothing was said about Aboriginal dispossession, although there were muted Aboriginal references in several events.